Saw two accomplished films this weekend, one a doc Citizenfour (Laura Poitras) and one of fiction, Whiplash (Damien Chazelle). Citizenfour is basically cinematic voyeurism; watching a man’s last few days of freedom. While I disagree with Leonard Maltin’s hyperbolic review “has Hitchockian suspense”, I will admit it held my interest despite ‘knowing the ending’ so to speak, that Snowden remains an exile in Russia. And here’s where I want to step on the thin ice and say, hooray for Snowden, a man of principles…yet the skeptic in me thinks, can our government be THAT corrupt? Can a man simply exposing Obama’s transparency as an opaque farce, really be stripped of his passport and free citizenship? Yikes. But I say Snowden for President as a man of true integrity. But believe me, the whispering dissenter chirps, “Can a world power exist without infringing on privacy to protect its citizens?”. Which leads me to my presidential analogy that Miles Teller, at least in this role, (and at the risk of tying Maltin for hyperbole), is the most sincere and dedicated person on Earth. And while I’m at my electoral picks, let me propose J.K. Simmons as Secretary of State because he’d tell any bullying totalitarianism to bend over and kiss their inhumane arses goodbye. And for good measure, let’s throw in Paul Reiser as Press Secretary with his realistic chagrined father portrayal. Whiplash is a fantastic film worthy of viewing and award nominations. While I won’t discuss plot points in my pledge to tell no spoiler, I will say if the movie’s end had been a hair shorter, it’d be absolute perfection. P.S. I’ll be posting this on every blog, but soon my website name will change to something shorter and easier to type after the new year…still pondering domain names…stay tuned. Fifty years ago, my title (Birdman vs. Nightcrawler) might have sounded like a new idea from the creators of Mothra vs. Godzilla (Okawara, 1964), but nope, this is my humble blog. First, Birdman. The alphabet soup of screenwriters (Inarritu, Giacobone, Dinelans and Bo) probably should apologize to Michael Keaton. He won’t win the Oscar. And my claim is that he won’t win because the movie was stripped of dramatic impact due to the supernatural ‘fireworks’. Yes, the film’s original, yes it has great dialogue hurled at mind spinning velocity. Yet today, I don’t think writers trust a dramatic story enough unless there’s some type of fireworks, explosions or car crashes. And it could be that I’m the weird one, that the masses will no longer go see a movie unless an explosion or two occurs. I would just like to see Birdman again, without the physical super power delusions of the actor to see if I was more moved by the film’s conclusion. Again, just to clarify, Michael Keaton was incredible and the couple of scenes where he’s speaking on the verge of crying, were unbelievably real and profound. 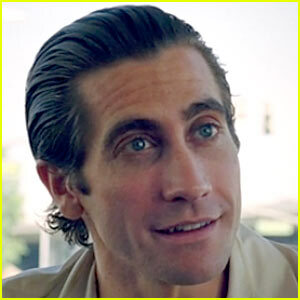 Second, Nightcrawler. Here’s the shame of this film. The main character Louis brought to life better than Frankenstein’s monster by Jake Gyllenhaal should win an award, but will surely be bowled over by the holiday blockbusters. The story of the movie, while unique, is solid, but lacks the hyperbole necessarily to sustain Oscar momentum. To me, though, I’d love to see JG get nominated for best actor and Gilory nominated for a new award I am creating:) called Most Original Character Writing. If you haven’t seen Nightcrawler, go. If you are autistic, an idiot savante, go see Nightcrawler. If you are simply sick of unreal explosions and super powers, go see, go see Nightcralwer. If you think Too Many Cooks ISN’T ‘genius’, go see Nightcrawler. In Birdman vs. Nightcralwer, feathers fly and Nightcrawler comes out the victor.